Awww, I hope she had a good day! This made me smile- such a cheeky face! haha that is a cute first day portrait! I wish Fred was that happy to go to nursery! Freya looks gorgeous in her little uniform! Wow such a big girl, first day? She is so cute and looks so happy! Aww, bless her. Can't believe how big they have all got! 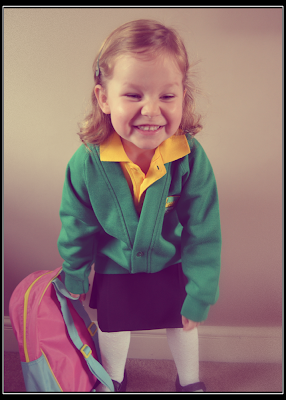 That is an excited 1st day giggle if ever I saw one! Awwww. Did she enjoy it as much as she looks excited about it there? Love this photo. She looks so excited! Oh gosh, she looks so grown up!! 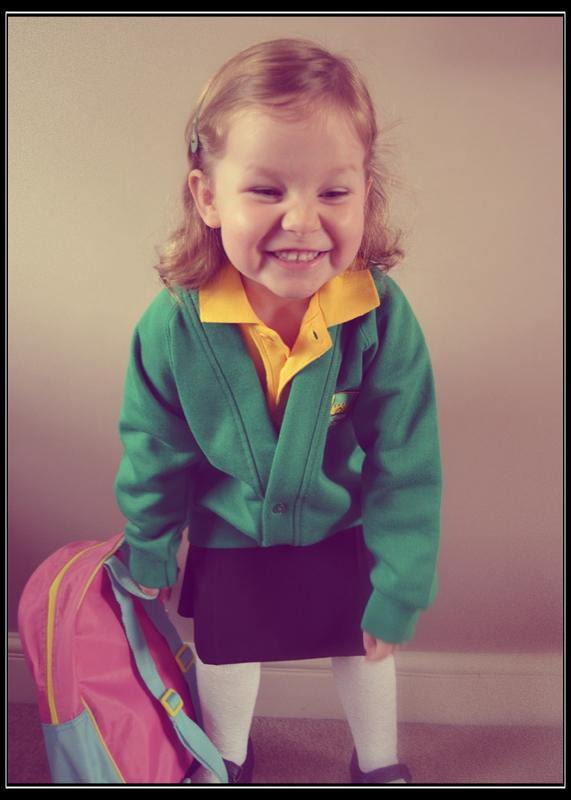 I just picked up your comments on my blog about your daughter starting nursery class at school (I've taken longer than a week off aside from a Silent Sunday!!!) - sorry, I haven't been around much either.